As part of my annual routine in attending the Toronto International Film Festival, I was more than excited to catch a glimpse of the documentary A Band Called Death. 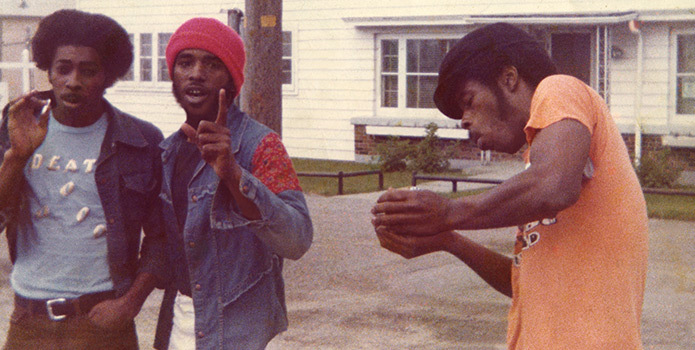 The film follows the artistic journey of three African-American brothers, Dannis, Bobby and David Hackney credited for being the first all-black punk band to come out of Detroit, Michigan in the 1970s. Without giving too much away, the documentary is ultimately a story of rejection, highlighting the tribulations of the brothers who tried to develop themselves as rock stars during an era when the stereotype was that to be black meant to be Motown. While other African-American kids growing up in their neighbourhood were listening to artists like Jackson Five, Smokey Robinson, Diana Ross and Earth Wind and Fire, the Hackney brothers were being inspired by artists like Peter Townshend of The Who and Paul McCartney of The Beatles. The name of the band DEATH came from the untimely parting of their father. David chose the name in the spring of 1974 just months after the tragedy. Coping with the loss, he tried to put a positive spin on his trauma by illuminating the continued presence of his dad. After seeing what he believed to be a direct outline of a triangle in the sky, he viewed the shape as presenting three elements: spiritual, mental and physical. He came to the conclusion that only the physical element of his father was truly gone. Nearly 35 years later the son’s of Bobby and Dannis, Urian, Bobby Jr. and Julian worked as musical missionaries to have their father and uncles’ music credited as punk music visionaries. On Feburary 17th 2009, Drag City Records released the bands first record appropriately titled DEATH…For the Whole World to See. Although this is truly an inspiring film, I left the theatre struggling with the knowledge that to this day African-American artists continue to be discredited in their role of pioneering various music genres. These cats were doing punk before many of their white counterparts, and I feel that this rockumentary works hard to prove that the Hackney brothers are the true pioneers of punk music.